The now closed down JournoList, has caused considerable controversy in recent weeks. According to its opponents, JournoList teamed up some 400 prominent “progressive” journalists in an effort to smooth Barack Obama’s path to the White House. This post looks at 106 reported “Journolistas” to look for connections or common threads. Of the known “Jounolistas” and organizations listed below, many can be linked back to two interrelated groups Democratic Socialists of America, the U.S.’s largest Marxist-based organization and the D.S.A.’s “brain,” the Washington DC-based, far left “think tank,” the Institute for Policy Studies. *The American Prospect – Founded in 1990 by D.S.A. affiliate Robert Kuttner. Current editor-at-large, is leading D.S.A. member Harold Meyerson. *Mother Jones – Includes D.S.A. member Adam Hochschild on its Board of Directors, plus some D.S.A. affiliated staff and contributors. Hochschild was a supporter of Progressives for Obama. *Economic Policy Institute – Led by D.S.A. member Larry Mishel and I.P.S. affiliate Jeff Faux and several D.S.A. affiliated board members. This organization has contributed at least three officials to the Obama Administration, including Obama economic adviser and ‘Journolista’ Jared Bernstein. *The Nation – Edited by I.P.S. trustee Katrina vanden Heuvel, who presides over an editorial board which includes D.S.A. members Norman Birnbaum, Barbara Ehrenreich (also an I.P.S. trustee) and Deborah Meier, plus I.P.S. affiliates Tom Hayden and Roger Wilkins. *In These Times – Created by I.P.S. and run mainly by D.S.A. members and affiliates. Based in Chicago, I.T.T.’s board of editors includes former Weather Underground terrorists and Obama associates Bill Ayers and Bernardine Dohrn. *Progressives for Obama – Established by D.S.A. members Barbara Ehrenreich, Tim Carpenter and Bill Fletchers, Jr. Ehrenreich and Fletcher are also I.P.S. affiliates, as were two more of P.F.O.’s six founders: Tom Hayden and Danny Glover. *Campaign for America’s Future – Founded in 1996, by several dozen D.S.A. members and I.P.S. affiliates, C.A.F. is a major coordinator of the U.S. “progressive” movement. In recent years it has organized several major Take Back America and America’s Future Now! conferences in Washington DC – which are attended by the cream of the U.S. progressive movement, including Barack Obama himself. Apart from the D.S.A./I.P.S. connections, leftist institutions like The New Republic and the New Century Foundation are well represented. There are two known connections to George Soros‘ Open Society Institute. Many major newspapers are also represented, as is national public radio, CNN and a host of leading “progressive” blogs and websites and leftist media “watchdog” Media Matters. *Eric Alterman – Professor of Journalism, City University of New York, POLITICO, The Nation, Media Matters for America, Center for American Progress Fellow, Institute for Policy Studies affiliate. In April 2003, Eric Alterman e-signed a “Statement on Cuba,” initiated and circulated by prominent Democratic Socialists of America member Leo Casey, calling for the lifting of trade sanctions against Cuba. In the 1980s, Alterman was listed as a “Guardian Associate” by the Maoist-oriented journal The Guardian. Alterman is a former protege and defender of the late I.F.Stone, a leftist journalist, secret Communist Party USA member and pre-WW2 Soviet intelligence contact. *Dean Baker – The American Prospect. in 2009 Dean Baker was a Contributing Editor for In These Times. *Michael Berube – Crooked Timber (blog), Pennsylvania State University. In April 2003, Michael Berube signed a “Statement on Cuba,” initiated and circulated by prominent Democratic Socialists of America member Leo Casey, calling for the lifting of trade sanctions against Cuba. *Lindsay Beyerstein – Focal Point (blog) (formerly Majikthise). In 2009 Lindsay Beyerstein was listed as a member of the Drum Major Institute Netroots Advisory Council. *Joel Bleifuss – In These Times editor, long-time Democratic Socialists of America affiliate. In October 2008, Joel Bleifuss was one of several thousand college professors, students and academic staff to sign a statement to “Support Bill Ayers,” in solidarity with former Weather Underground terrorist Bill Ayers. *Jonathan Cohn – The American Prospect, The New Republic. In 2009, Jonathan Cohn was a Senior Fellow of New York-based think tank Demos, which is an Institute for Policy Studies partner organization. *Todd Gitlin – Professor of Journalism, Columbia University, former leader of Students for a Democratic Society, Campaign for America’s Future founder, Democratic Socialists of America member, In April 2003, Todd Gitlin signed a “Statement on Cuba,” initiated and circulated by prominent Democratic Socialists of America member Leo Casey, calling for the lifting of trade sanctions against Cuba. Progressives for Obama endorser. *Robert Greenwald – Brave New Films, a production company that produced a documentary for Ronnie Earle during the case against Republican Party leader Tom DeLay. *John Judis – The New Republic, The American Prospect. A former leader of Democratic Socialists of America‘s preceding organization, the New American Movement, which was formed from the Students for a Democratic Society and the Communist Party USA. Judis is the former Editor of Socialist Revolution magazine and is an Institute for Policy Studies affiliate. *Michael Kazin – Georgetown University. A founder of Campaign for America’s Future, editor of the Democratic Socialists of America-controlled Dissent magazine and co-author of a history of the Communist Party USA with D.S.A. member Maurice Isserman. In April 2003, Michael Kazin signed a “Statement on Cuba,” initiated and circulated by prominent Democratic Socialists of America member Leo Casey, calling for the lifting of trade sanctions against Cuba. A veteran of the 1969 Venceremos Brigade to Cuba. *Mark Kleiman – The Reality Based Community. In 2005 Mark Kleiman served as an affiliated scholar of Center for American Progress. *Paul Krugman – The New York Times, Princeton University, economics, world affairs and Pulitzer Prize winner (Neo-Marxist). *Scott McLemee – Inside Higher Ed, Democratic Socialists of America affiliate. *Suzanne Nossel – Human Rights Watch. In 2005 Suzanne Nossel served as an affiliated scholar of Center for American Progress. *Rick Perlstein – Author, Campaign for America’s Future. Democratic Socialists of America affiliate. *Katha Pollitt – The Nation, a member of Democratic Socialists of America and a supporter of Feminists for Peace and Barack Obama. 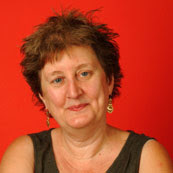 In April 2003, Katha Pollitt signed a “Statement on Cuba,” initiated and circulated by prominent Democratic Socialists of America member Leo Casey, calling for the lifting of trade sanctions against Cuba. *Laura Rozen – Politico, Mother Jones. In 2009 Laura Rozen was listed as a Senior Correspondent of The American Prospect. *Mark Schmitt – The American Prospect. New America Foundation, former Director of Policy and Research at the Open Society Institute. *Kai Wright – The Root, The nation, The American Prospect, ColorLines, a radical publication of the Communist Party USA connected to Applied Research Center. *Matthew Yglesias – Center for American Progress, The American Prospect, The Atlantic Monthly, Blogger, POLITICO, Open Society Institute affiliation. *Julian Zelizer – Princeton Professor and CNN contributor. JournoList was not just a bunch of “liberal’ journos with too much time on their hands. It was a network of high level opinion makers, united by a “progressive” vision for America. They believed that their superior judgment and insight obligated them to present Americans with a view of reality that they would be too stupid and reactionary to grasp unaided. At least a few, perhaps many, were committed Marxists who saw journalism, not as a profession, but as a revolutionary tool. This disgraceful episode should dispel forever the “progressive” lie that the American MainStreamMedia and its “liberal” core, can be trusted to uphold the objective standards of their profession. These journolists should be put out of business. Of course, they probably would be out of business if the taxpayer’s monies wasn’t going to prop them all up. Barack Obama should be impeached for what he is doing to America. I wouldn’t rule it out. He’s stomping on the Republic and he cares absolutely nothing about the Constitution that he is sworn to uphold. He is suing an American state for doing the job that he won’t do to secure the borders. All for political gain. He’s getting rid of the electoral college that was set up that way to make sure that the bigger states would not bully the smaller ones. He’s trying to add states to the union even though they have voted time and time against it, to ensure that he remains king of all. The man will be crowning himself king soon, just like Napoleon. These journolists are a disgrace to America and they should be tried for treason. They should be tried for not revealing the anti-American stance of this unknown man, Barack Obama, who rose up through the corrupt Chicago machine and is thoroughly tainted by it. This man does not understand what makes America great. His apologizing and bowing tours are a disgrace to America. Our Founding Fathers, who fought, bled, died and lost their entire fortunes for America must be rolling over in their graves. Shame, shame, shame on Barack Obama and his cohorts-in-deceit, the journolistas, who kept all the sordid details of this man’s past a secret from the American people. All of Barack Obama’s past is still sealed. God Bless America. The land of the free because of the brave. Weren’t there any moderate or conservative journalists on that list at all? Were they excluded? Or just complicit and silent. When I was working on my poli sci undergraduate degree in the late nineties I was amazed when I frequently ran into unapologetic, self-identified young Marxists or “Marxians,” as they then liked to be called. It was as though I had run into a group DEVOTED to using the language of science to determine, once and for all, how many angels really could dance on the head of a pin. By time I got to law school (this decade), you would think I would have got over my surprise that so many of them were hanging out there as well, but no luck. In my college experience, they were as numerous as they were uneducated or ignorant, surly, cynical, unforgiving, and condemning. What a bunch of prissy creeps; Hoffer’s “True Believers,” for sure! Also, as far as I could tell, all upper-middle class or above, silver spoon socialists. If you want to smash a rightwinger’s face into a window, I live in Alaska. Bring it on wimp. I’ll feed you to a griz about 5 minutes after you try. how do these “professors of Journalism” not lose their jobs after this?